For Everyone. The Samsung Chromebook 2 is a new computer that helps you get everyday things done faster and easier. It starts in seconds, has virus protection built-in, and runs your favorite Google apps plus thousands more. The Chromebook comes with leading Google products, like Search, Gmail, YouTube and Hangouts, so you can work, play, and do whatever you want, right out of the box. Chromebooks are a unique class of mobile computing devices designed for Web-based tasks. They run the Google Chrome OS, perfect browsing the Web, sending and receiving e-mail, and video chatting with friends and family. You can easily share it with multiple people- switching accounts takes seconds, and everyone gets their own files, apps and settings. And it’s simple to use. There’s no setup, and your files are automatically backed up in the cloud. 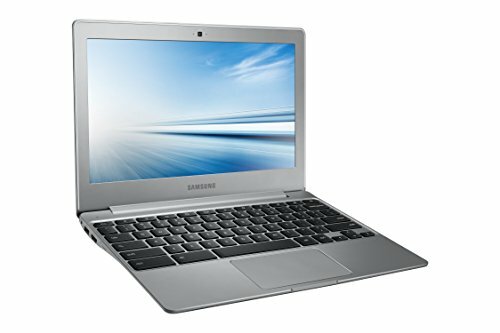 At just 2.65 pounds, 0.66 inches thin, and with up to 8.0 hours of battery life, the Samsung Chromebook 2 can go anywhere you go. It’s built to stay cool, so it doesn’t need a fan and runs silently. And being productive is easy with the latest Intel Celeron processor. It also includes 100GB of free Google Drive storage (for 2 years), a built-in webcam, and 802.11ac Wi-Fi to make it easy to connect to wireless networks.